To involve your Customers and your Prospects, you have to capture they attention and fix your message in their mind. To obtain this, you must put in place some purple cow communications: a message that is so different from the other ones that strikes the attention of your audience. 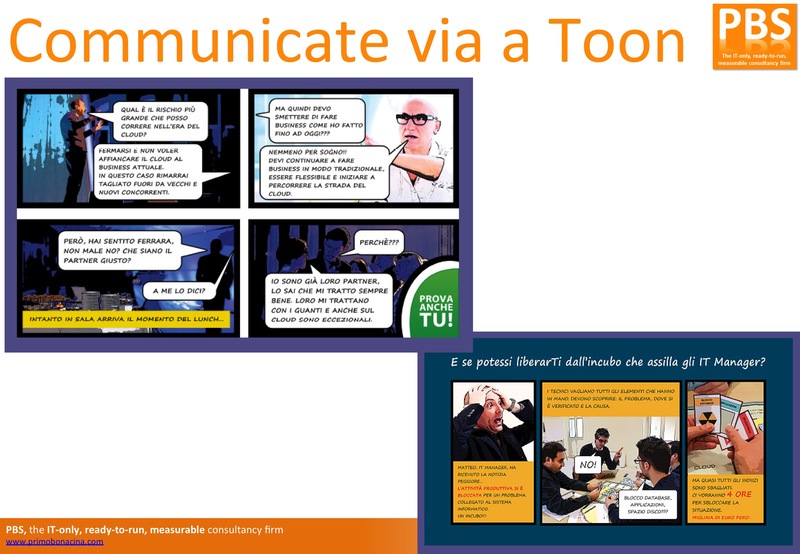 Toons, a special storytelling made with business comics obtained from a video or a photo session, are the right instruments to capture attention and fix a message into customer minds. They work well on paper, magazines, web communications.